This additional resource category has been added to DeliverTheWord.com for those that would like to have access to images which can be used in other visual means. 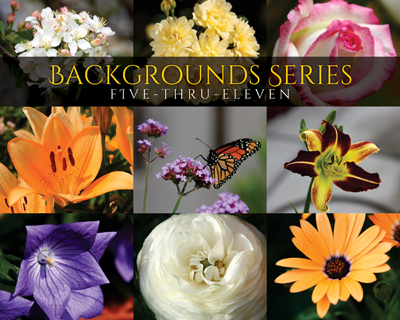 This type of sharing began with a church who wanted to use floral images in display graphics in their services. Each of these images is provided without any other design features. As of putting Series Eleven up, there are 403 images available. 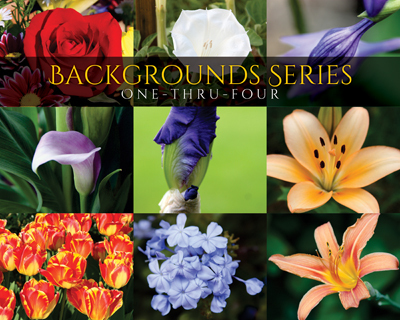 There is a small amount of duplication as these images were pulled from jobs being completed for clients involving color choices, not so much families of flowers. The FIRST edition of The Encouragement Chronicles for the New Year, 2013 for those of us having challenges remembering which year we are living, has me more EXCITED about what the Lord is going to do with and through each person touched by this site! Now that the different facets of DeliverTheWord.com are up and running, Encouraging others is being made available to any and everyone who will use these desperately needed on-line tools. Certainly, new features will be added and capabilities expanded, which are all part of maturing as development continues to make DeliverTheWord.com the spot to depend on for Bible based Encouragements at every turn. Anyone ready for a few good ole hymns??? Are there specific hymns, psalms that come to mind – like right now – that once they get recalled, trigger a chain reaction of singing unto the Lord? As long as can be remembered, a phrase comes to mind first heard as a child “Make a joyful noise” which normally applied when a person in my hearing sang “REAL LOUD.” After some careful research, it has been interesting to discover that there are seven verses of Scripture that have the specific phrase “make a joyful noise”? They are all in the Book of Psalms, beginning in Psalm 66:1 advancing through to Psalm 100:1. My personal favorites (two are in this specific mention of Scripture) is Psalm 95:1-3 | KJV. O come, let us sing unto the LORD: let us make a joyful noise to the rock of our salvation. Let us come before his presence with thanksgiving, and make a joyful noise unto him with psalms. For the LORD is a great God, and a great King above all gods. UPDATE | The NEW Facebook page dedicated to Delivertheword.com is FULLY OPERATIONAL! Click here to access -or- Type in: Delivertheword.com in the “Search for people, places and things” while logged into your own Facebook account. This series, “Hymns of My Heart Collection, Volume No. 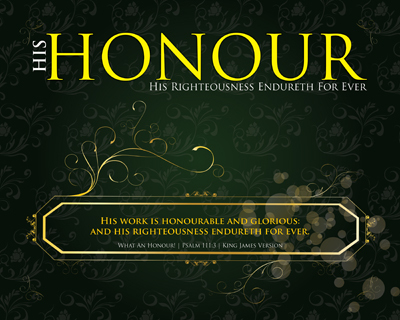 1”, has been a pure joy to put together in preparation for putting onto the DeliverTheWord.com Website. It is just a “small” subset of a MUCH larger library of hymns which are being prepared for on-line access. And is the second site of this type to be developed, with the first being “Celebrating The Path Hymn Series”. The tabs above the menu allow for easy color selection when looking through the hymns so all of them coordinate easily. Each hymn available size is currently 1024×768 and 1280×1024. 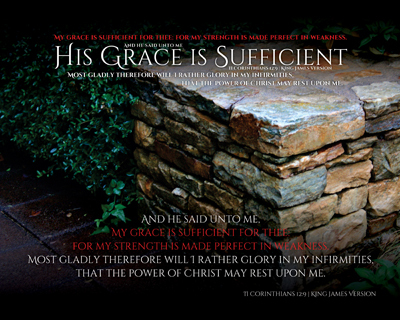 Each print design has the Scripture reference presented in King James Version text from which the hymn was written. As is often the case with many of the projects that proceed before the window of my mind, this series has taken some time to develop, putting together the “right” package of songs to answer the challenge placed on my heart. Nearly complete, with twenty selections, another one entered into my mind as looked through the library listing of older hymns, until a final one was chosen. This one was somewhat a challenge in choosing a name for it, but God knew and someone else did too. Once the dust settled on the individual pieces, started preparing them for use, for which I just couldn’t help myself – it was part of the criteria – should one pass by one of these hymns, the goal is to not be able to do so without starting to sing it! Without really noticing it, our daughter, who was working on her computer in my office, began to hum and sing the hymn softly whenever I stopped. Just smiled and kept working away at them, repeating the process for each one till it was completed – which she kept doing after each one. As the conversion of the sheet music was being wrapped up, she was looking over my shoulder to see which hymn was being worked on and we sang them together – WOW – what a moment in time. LISTEN – this is EXACTLY what my heart desires to happen to YOU. As I was struggling with what to “call it”, handed the paper to her and asked her if she would name the series… Moments later she handed me the list of hymns back with just one name to choose from: Hymns of My Heart. That is how this series got named – by a 14 year old. There are five color choices in this series, which are separated by these colors, for this site presentation of this collection. An example of each color is shown in the following icons, which each link to the site for immediate access. Since there are SO many of the formats and colors for each Hymn, all of the images will point to the site directly. Several have inquired asking to have a listing of the sheet music alone for this type of series, so they have been added in the same sizes as the overall prints/designs would be for enjoyment also. You may find those by clicking the menu “Sheet Music” or from the slider of the same name. 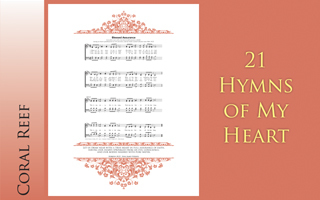 Hymns of My Heart Collection – Volume 1 is the first installment of sheet music prints which are presented in an artistic manner using ornate marquees for a presentation which will entice others to view and present an opportunity to be a witness. Each volume will share familiar elements, but are intended to provide unique sets of hymns with varied artistic designs. This Collection is a small portion of a much larger Music Hymnal Library which will be showcased upon completion. Just as with this collection, each grouping intends to evoke and invoke something in the mind of the Believer, a stirring of the heart, one where a rejoicing comes from within and flows outward. A Christian hymn is a religious song, typically of praise to God, which has been formally established for Christian worship to be sung celebrating a truth found in the Scriptures. 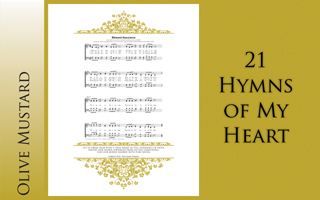 Each of the hymns in this collection are based upon at least one Scripture verse which is included in full with the designed pieces and at least in part with the sheet music. 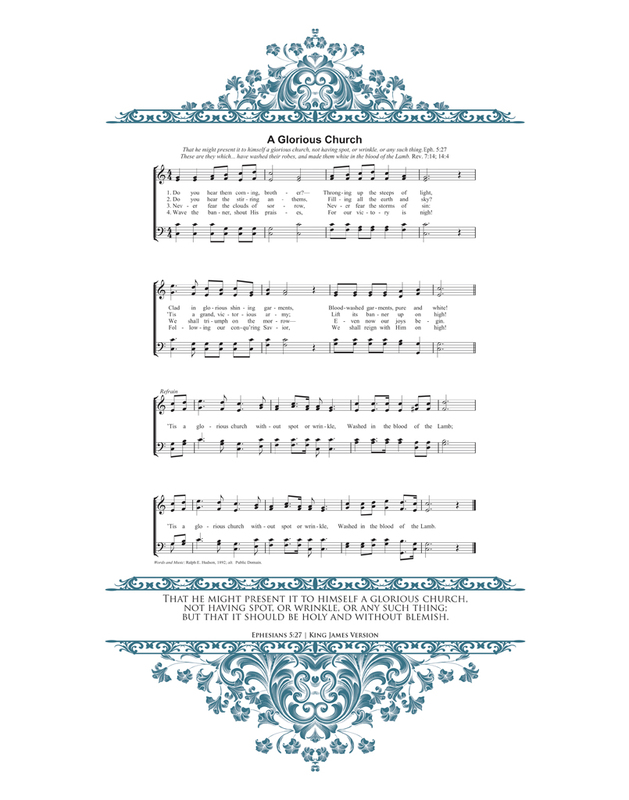 Each hymn is a piece of music, much like a Psalm, written from a founding verse of Scripture. References in both the Old Testament and New Testament encourage us to sing. It is our hope that the Ministry of Encouragement will become an area which you strive to serve, for everyone can be an encourager to someone – and that someone is going to need you to encourage them with the full power given to you through the Holy Spirit! 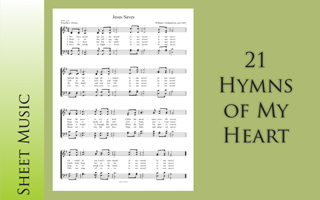 This spectacular set of hymn prints came into being from the concept of singing hymns before getting prepared to preach in one of our local skilled nursing homes. After first asking around for ones that were special to several friends and family, it settled in as being a prayer request taken to the Lord during Bible Study. Over the period of a few weeks, was impressed on by the Holy Spirit to identify hymns which would be TOUGH to pass by without breaking out singing them immediately. What we find ourselves “gazing upon” is generally what we carry with us to some degree for a few moments, to minutes, to hours or even longer depending on how much time is spent around it. We have many things in our home that “remind us” of times, places, people and the occasion of either receiving or purchasing that item. And, of course, there are special places for heirlooms and precious memories represented by this or that – why not have those surrounding us to remind each of us of all the WONDERFUL things that have been “added to our account…” from our ALMIGHTY GOD! The desire for these pieces was rooted in preparing a set of five (5) to place in a set of ornate 11×17 frames picked up some time ago to put up over the top of our piano or down the hall. Immediately we thought of our Pastor and his wife, which kick-started the design engine so to speak to make them a bit more fancy and different than the sometimes seen “sheet music” we’ve seen framed. This series and set of prints is one that presents not only an attitude (good one), but presents to each of us what real “Joy” is suppose to be all about. Have you ever thought about what real “Joy” is? Who it comes from? This world has a warped sense by equating “Joy” with worldly pleasure, a sense of accomplishment, accolade, success, winning… But each of those things are fleeting at best, lacking even the remotest concept of “who” gives us REAL “Joy”. 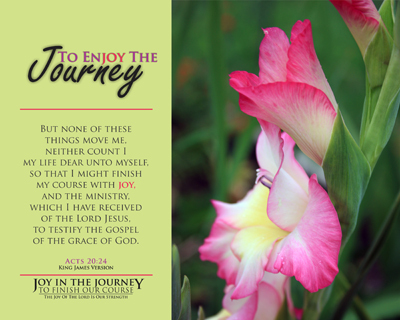 The starting image set the stage for the design and contains the verse which began this Journey of “To Enjoy the Journey” and the ruffled Gladiolas from our front flower bed which dot the entire series. With this thought as a start, the challenge came to our congregation of “Don’t know about tomorrow, but…” mixed in with a goal of finishing our course with JOY! This print and the Scripture for which it is designed, should remind us of our learning to trust in Jesus and that we should not forsake “the assembling of ourselves together” Hebrews 10:25a | KJV which puts before us how we can keep the Joy in journey, directly influenced by our learning to trust in the Lord! 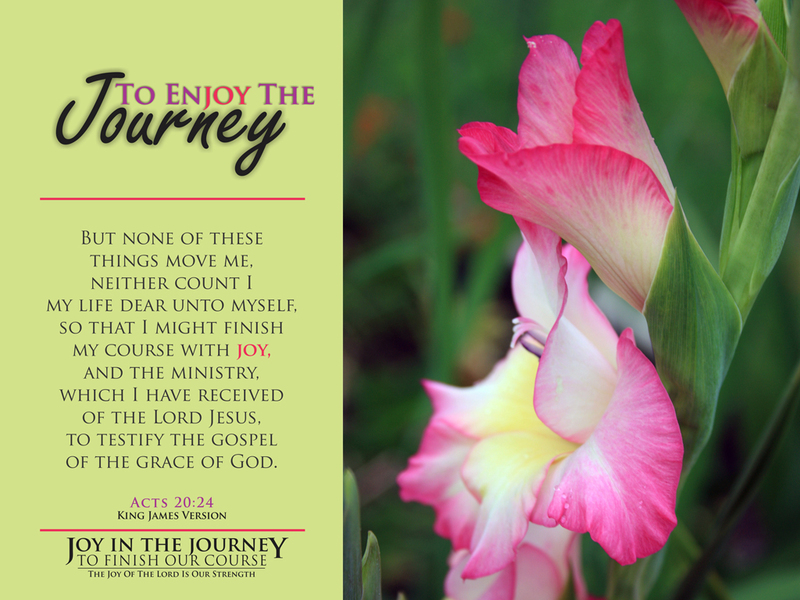 The journey is not always easy, but we are not to go from one point in our lives to another without JOY! The JOY of the Lord is our STRENGTH. We are also to be reminded that along that journey, as each step is taken we will have things revealed about our journey. A further step forward will find us being encouraged as well as being an encourager. Yet another realization we need to draw focus of is the rewarding journey taken, whose Glory, Joy and Honor are to be recognized and given. May we each realize that we cannot have Joy, do those things that God has for us to do or have that amazing journey if we attempt to do so in our own strength! We do however have the Promises of God and the ability to know through Him, we can have knowledge of life being “sweeter than the day before”! Have we taken an inventory of our lives to see whether we “gladly rather glory in our infirmities” instead of using them as the stop-gap excuse to stop us from serving Him? There are 17 more to see, but you must go to the site to see them! After a “few” requests to bring them back, am working on uploading the image libraries that once existed on a Google Share and several previous Websites, for use. 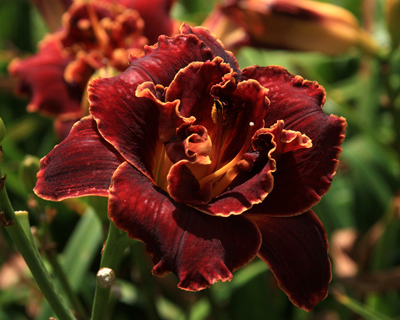 There are 213 images total in this collection that Melissa and I shot of the amazing 1500+ varieties they have on the grounds of the farm in Corryton, Tennessee. Each of the images are provided in 1280×1024 format for download and use. Please feel free to use them. We have folks who use them as backgrounds for church presentations, hymns, etc. Go to the Website to look through them, then download as many as you like. Clever name to be calling a Series of Encouragement don’t you think??? It is amazing how we can read passages of Scripture in pieces and not ever recognize the links they can have to each other which are major in significance. Have been reminded of that very thing in recent days by a dear Friend as a story was being shared with me concerning an Old Testament passage. After reviewing the passage, knowing it had been read at least several times, realized that it was never seen in the same light as it was being shown now. 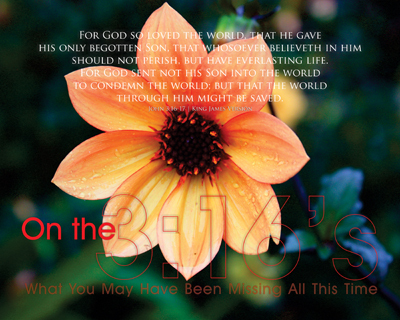 The most famous of the 3:16′s is of course John 3:16 | KJV, which is an anchor verse of Scripture, encasing a Truth and Promise that is Eternal. The other side of that same coin is the use of another passage in the Word of God: I John 3:16 | KJV. Most often can personally recall in my learning and listening that John 3:16 and I John 3:16 as they were referred, the second was often referred to as the “other” John 3:16. The first of course showing us what God the Father has done for us and the latter showing us what we should be willing to do for others. The reason is most simple: His Love is an endless love, we can perceive (a more simple word would be “see”), thus we should be perceived in the same manner. Have you ever really thought about a statement that many, if not most of us, has made at one time in our lives — “What an honor” to do this or do that. Most of the time that stream of words is a statement, as in “What an Honor it would be to…” which will end with a period or an exclamation mark instead of the typical question mark. This Series, What An Honour!, is one that has interested me for a long time, but one that eluded me for just as long. At first, the mind was jogged by a sermon entitled “The Potter’s House” which was preached by Rev. Kevin Broyhill at our church in August 2012. His text was begun in Jeremiah 18:1-6 | KJV which speaks of Jeremiah being stirred up to go down to the Potter’s house to witness first hand what a Potter does with clay. That challenge, coupled with the one heard several years back on “being a vessel of honour”, has made this Series come to life for me by a prompting of the Holy Spirit to find out WHAT the Potter was doing with the Vessel.